Resveratrol (3,5,4′-trihydroxy-trans-stilbene) (RES) is a naturally-derived phytoestrogen found in the skins of red grapes and berries and has potential as a novel and effective therapeutic agent. 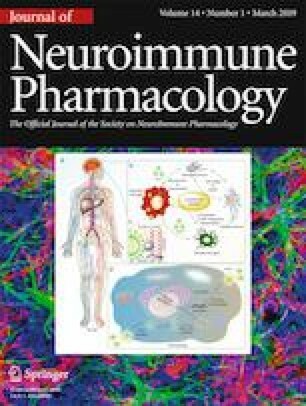 In the current study, we investigated the role of microRNA (miRNA) in RES-mediated attenuation of experimental autoimmune encephalomyelitis (EAE), a murine model of multiple sclerosis. Administration of RES effectively decreased disease severity, including inflammation and central nervous system immune cell infiltration. 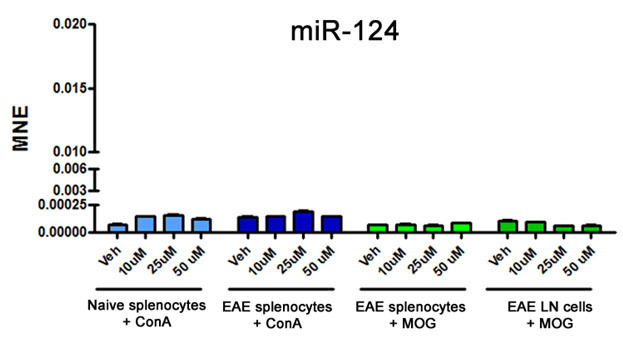 miRNA microarray analysis revealed an altered miRNA profile in encephalitogenic CD4+ T cells from EAE mice exposed to RES treatment. Additionally, bioinformatics and in silico pathway analysis suggested the involvement of RES-induced miRNA in pathways and processes that regulated cellular proliferation. Additional studies confirmed that RES affected cell cycle progression and apoptosis in activated T cells, specifically in the brain. RES treatment significantly upregulated miR-124 during EAE, while suppressing associated target gene, sphingosine kinase 1 (SK1), and this too was specific to mononuclear cells in the brains of treated mice, as peripheral immune cells remained unaltered upon RES treatment. 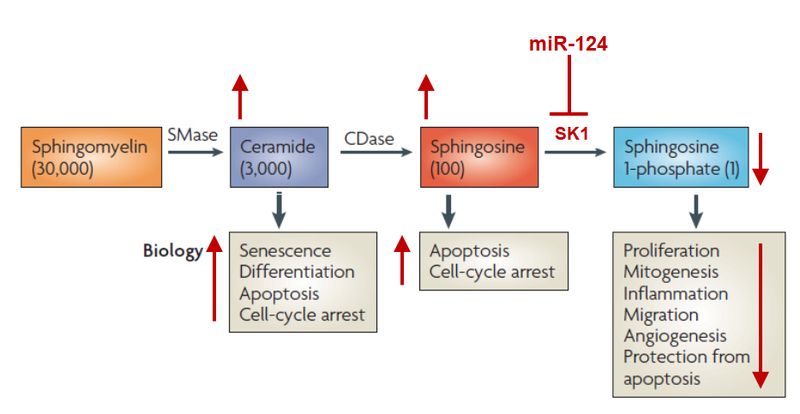 Collectively, these studies demonstrate that RES treatment leads to amelioration of EAE development through mechanism(s) potentially involving suppression of neuroinflammation via alteration of the miR-124/SK1 axis, thereby halting cell-cycle progression and promoting apoptosis in activated encephalitogenic T cells. 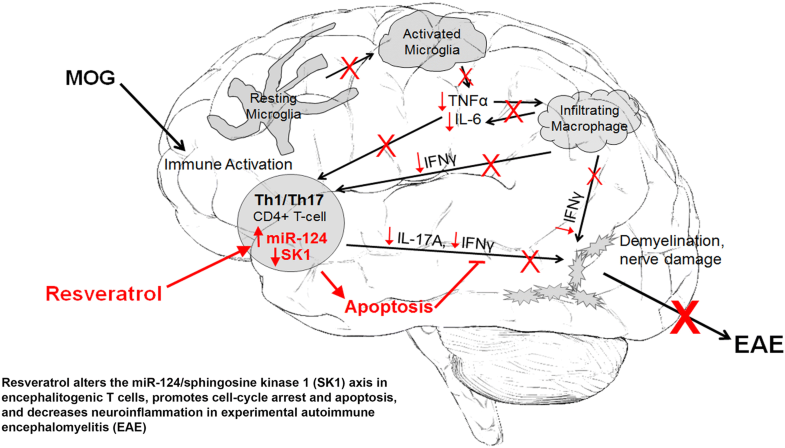 Resveratrol alters the miR-124/sphingosine kinase 1 (SK1) axis in encephalitogenic T cells, promotes cell-cycle arrest and apoptosis, and decreases neuroinflammation in experiemental autoimmune encephalomyelitis (EAE). The online version of this article ( https://doi.org/10.1007/s11481-019-09842-5) contains supplementary material, which is available to authorized users. The studies were supported in part by NIH grants F32AT008539, P01AT003961, R01AT006888, R01AI123947, R01AI129788, R01MH094755, and P20GM103641. A.O.G. planned and carried out all experiments and analyses, wrote the manuscript and prepared all figures. J.Z. performed statistical analyses when R program was employed. P.N. and M.N. supervised all work presented in this manuscript. All authors (A.O.G., J.Z., P.N., and M.N.) reviewed this manuscript.